Real Estate Scams: How to Enjoy Hassle Free Land Purchase Transactions in Nigeria!! Want to learn how to avoid REAL ESTATE SCAMS? Every day, thousands of Nigerians at home and abroad hope to buy lands in major cities like: Lagos, Abuja, Port Harcourt, Abeokuta, Ibadan, Kano, Enugu, Benin, etc. Nevertheless, the common questions filtering through their minds is how to be cautious and wary of land scam artists, as well as dubious Real Estate Companies that specialize in defrauding land buyers. Every land buyer wants to safeguard their money so as not to be duped or lose their lands due to alarming stories that typically accompany smooth transfer of lands. 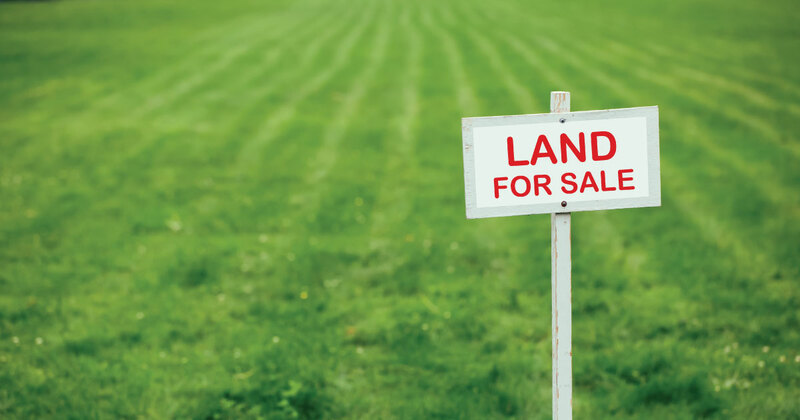 Below are suggestions to having a hassle free land purchase transactions in Nigeria. What do you intend to use the land for? Are you hoping to build a home on the land? Are you planning to farm on it? Is it for a commercial use or structure? Are you buying it in hopes to increase its value over time? The answer to all these questions come with specific risks and considerations, and having specific plans for your land is necessary before you begin to look for a land as it would determine the best location for the land. Irrespective of the amount saved up for the purchase, make a research of other fees or charges associated with buying a land. iii. Survey Plan, depends on the location of the land and state. v. Cost of putting up a corner piece or a fence to secure your land immediately after purchase. vii. Cost of completing your documents with the Government at the Land Registry. These include; C of O, Governors Consent, Survey Land information, etc. Once all these computations are done; all fees associated with land purchase would be known, it would adequately guide you on the choice of location and land type that would suit your pocket. READ ALSO: Re-Engage Your Start-Up Funding!! Do not venture into buying any land without performing a Land Check on the owner; the Land and the documents the seller possesses. This stage might seem tasking, but you must be patient and thorough. Sellers or agents might be cranky and most times grumble that the land in question is in “hot demand”. Do not listen to them, investigate the land to know who owns it, whether it is not under government acquisition, if it is genuinely a good land, is it subject to any communal or legal dispute, does it run against any government regulations etc. In addition, the owner should have documents such as a Survey plan, deed of assignment, contract of sale, C of O, Governors Consent, Gazette, Letter of Allocation, Receipts, Deed of Transfer, Power of Attorney, etc. Land purchased must have legal documents showing full transfer of ownership. A lawyer, surveyor and architect are the key people you must get in touch with before you buy a land. The lawyer would draw up your contract papers legally to process your papers at the Land registry, a registered surveyor draws up your survey plans; without the survey plan you have no description of the land you intend to buy. Finally, an architect advises you on the type of structure you are to build and the cost of putting it up, starting from the location of the land down to the type of soil. If you’re not professionally skilled at any of these, involve professionals to guide you properly. Regardless of how beautiful or attractive a land being advertised appears, make out time to go look at it. Thousands of people are scammed by realtors who use attractive pictures and false locations when advertising. If you cannot visit the place physically, send a trusted representative to visit the site. Ii. Amenities available in the area. iii. Topography of the land. iv. Present and estimated future value of the land. v. Safety and planning of the Neighbourhood. Do a physical check before you fully commit yourself to buying a land. Always trust your own personal instinct. When you visit a land for inspection, go with whatever your guts tell you. If you’re in doubt about the land or see any suspicious act, do not push it nor risk it; take a walk. If the seller cannot justify the owner or there’s no proof of ownership, no survey plan or its layout, or he says there is a minor issue with the land that would be resolved in no time or it was just resolved… etc. Don’t let anyone pressurize you into buying a land. The signs might look so small and irrelevant but it would unveil as a major problem in the future, the agent or seller that forced you to buy it would be gone and you’re left alone to fix or deal with the issues. All payments made during the course of purchase must be duly documented, it is advised you use recognized bank. These documents are your only proof of land ownership in future. Land owners or sellers are capable and guilty of lying about the use or availability of titled documents. You have to be well informed before you venture into buying any land. Never pay for lands without getting the deed of assignment or contract of sale between you and the seller nor Survey Plan. Receipt is NOT ENOUGH!!! Three (3) fundamental things a buyer must have when they pay for a land are; Receipt, Deed of Assignment and a Survey Plan. Without these things, you barely have anything to prove your ownership should something go wrong in future. As soon as purchase and documentation is completed, take possession of your land by constructing a small fence around it or at least a corner piece. That way any prospective buyer of the land would know it has already been bought and possessed, hence they stay clear of it. Don’t just leave it unpossessed, make effort to visit the site frequently, if possible hire a guard to be an eye on the land till you’re ready to put up your structure. Why You Should Not Be A Freelancer?